May is Lyme Disease Awareness Month and I’ve just read the fascinating account of biochemist Paulette Agnew, who unknowingly contracted the diseases. Despite a 10 year battle to stay well, she suffered paralysis, memory loss, extreme chronic fatigue, cardiac problems, and a close brush with death. Eventually, she found her own way to survive. making a full recovery from critical illness. Her story is told in her book just published, FAB Health-Healing from disease and other illness without antibiotics (Morgan James Publishing). Alzheimer’s, arthritis, polymyalgia, Parkinson’s or MS. Lyme disease is caused by Borrelia, a spirochete bacteria. It’s the most common tick-borne infectious disease in the northern hemisphere and there are multiple strains of the bacteria. Frequency and Bioenergy Medicine (FAB) health approaches are non-toxic and sustainable. combining ancient medical care with cutting-edge technology and devices and includes the emerging field of light, energy, frequency technology and electromagnetic treatment possibilities. and bad – by our environment, our diet, our thoughts and emotions, others around us and the wider consciousness of humanity. Our lifestyle choices, environment, stresses, and habits are undeniably part of the cause of our diseases and the reduction in our immune system’s ability to fight bacterial and viral infections. The book reminded me at what I have always thought, that by integrating alternative practices with modern medicine, we really will begin to see not only the demise of the superbug, but of chronic disease too. WE’RE well into tick season, which runs from March until October. This is important because ticks carry the Borrelia bacteria that causes Lyme disease. Each year 3,000 Britons contract Lyme disease and, while it’s fairly easy to treat if caught early, Paulette Agnew wasn’t so lucky. 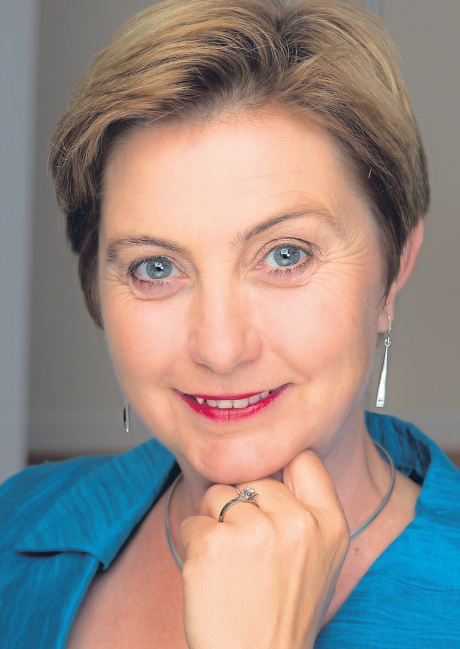 “I contracted Lyme disease when I was working in Africa,” says the biochemist, who has written a book about her illness and recovery. “I was working on the border between Kenya and Southern Sudan, doing trauma healing with child soldiers. “Conditions were pretty horrendous at the camps and I got ‘something’. In Britain people will get Lyme from a tick, I got mine from a mosquito bite. “I was very, very ill and the doctor misdiagnosed me as having malaria because I had terrible symptoms of shaking and fever. “They started injecting me and almost killed me but I went to the School of Tropical Medicine Centre in Nairobi – no malaria. “I came back to the UK and over 10 years got more and more ill, going between hospitals and doctors and schools of tropical medicine and still being ill.
“My symptoms steadily got worse. I had incredible pain in my feet – I’m a rock climber and mountaineer and I had to stop that – and I spent thousands of pounds having MRI scans on my knees which stopped working. I kept collapsing for no reason, they’d just go underneath me. “I had increasing fatigue and then I got depression and digestion problems. It was just a nightmare because I’m a health addict, I do yoga every day, I meditate, I have a healthy diet. “I’d get worse then better then worse again, always going gradually downhill. Insomnia set in, I had light flashing in my head then the shakes started – the nerves in my arms were behaving like I had Parkinson’s or MS. “My limbs would shake and I’d get paralysis and couldn’t move my legs for moments at a time, that was horrendous. “And the pain! It was everywhere, then I ended up with my left arm paralysed. It just shook the whole time and I couldn’t move it. “I was in and out of the cardiac department because I kept passing out. I’d walk 10 steps and my heart would go off the scale. “I had facial palsy and my hair was falling out and still no diagnosis. People would say I was a hypochondriac but then I got Alzheimer’stype symptoms, I couldn’t remember why I’d walked from one room to the next. “That’s the problem with Lyme, it changes as it progresses. The Borrelia spirochete, the bacteria that causes the disease, moves around the body and reaches the nerves and joints. “Lyme’s known as ‘the great imitator’. I had MS, Parkinson’s and Alzheimer’s symptoms but I thought, ‘I can’t have them all!’. “Five years ago I was desperate. I was a basket case, I’d made out my will but a friend said I had to go to Holland and get diagnosed in a specialist clinic. “Straight away they said, ‘You’ve got Lyme disease’ which hadn’t been on the radar in Britain. I did my research and thought, ‘I’ve got a problem’ because I was in the final stages. “By the time I got to the clinic my organs had started to crash because I was riddled, it was everywhere.” With Lyme disease, diagnosis doesn’t mean an end to the problems. As Paulette explains: “Once you start treating it, you get a reaction to the neurotoxins released by the bacteria when they die so you have to monitor how much of the bug you can kill while detoxing the body. Medicine – or the regular antibiotics, and I’m allergic to quite a few of them so I knew that wouldn’t be good for me. “Also, because I was so ill I didn’t think my body could sustain the necessary level of antibiotic treatment. “The spirochete can change shape which is why it’s so hard to diagnose and treat with antibiotics. “I put my faith in bioenergy medicine which is very wellknown on the Continent, and I spent four months in a clinic in Holland. treatment – basically working with all the kinds of frequency and energy medicine. “People don’t know they work but I’m living proof! “The clinic took me from the point of somebody helping me to the toilet to be able to briskly walk for half a kilometre. “It then took me two years to strengthen my body and become symptom-free. ONE gram of fish oil a day could help reduce the pain of patients with osteoarthritis, writes Alan Shaw. Researchers found that a low-dose supplement of fish oil (one-and-a-half standard capsules) could result in pain reduction for patients and help improve their cardiovascular health. Essential fatty acids in fish oil reduce inflammation in joints, helping to alleviate pain. They also found that a reduction of weight for overweight and obese patients and the introduction of exercise tailored to mobility could also help ease symptoms. There is no evidence that a calorie-restricted diet does anything beneficial for lean patients with the condition. Adopting a healthier lifestyle will also help reduce cholesterol levels – high blood cholesterol is known to be associated with osteoarthritis. An increase in foods rich in vitamin K such as kale, spinach and parsley was also found to deliver benefits. A lack of the vitamin adversely affects bone growth and repair and increases the risk of osteoarthritis. Margaret Rayman, Professor of Nutritional Medicine, says: “The importance of a good diet and regular exercise shouldn’t be underestimated. “Not only does it keep us fit and healthy but it can also lessen painful symptoms. A MUCH-MISSED late family friend owned his own pharmacy, writes Alan Shaw. One night, he was awoken from his slumbers by the local constabulary, who informed him that a miscreant had broken into said apothecary’s premises and basically trashed the place. The thing is, after breaking into the drugs cabinet, the thief had helped himself to some of their contents and was now in something of a state in the nearest A&E. “Our problem,” said the senior copper, “is that the docs don’t know what he’s taken. They don’t recognise his symptoms and so don’t know how to treat him. A good sort, our friend only briefly considered not helping the fella who’d wrecked his shop, and quickly came up with the answer to the mystery. The chap had ingested quite a large amount of something in which a major ingredient was marked on the label as “Pb”. “He’s got lead poisoning,” said the chemist who knew the periodic table off by heart and recognised the symbol, Pb being short for plumbum, Latin for lead. That’s where we got “plumbing” and “plumbing the depths” from, a plumb line using a lead-weighted line to measure how deep water is. which our pal was pleased to give expert – and damning – evidence. A spell at Her Majesty’s pleasure probably wasn’t much fun but it was certainly better than being left to suffer lead poisoning. Symptoms can include abdominal pain, constipation, headaches, irritability, memory problems, sterility, tingling in hands and feet and in severe cases intellectual impairment, anaemia, seizures, coma and death. In fact, it’s believed to cause just under one million deaths per year, mostly in the developing world. 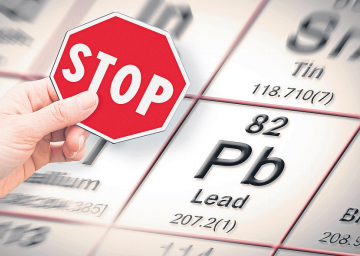 The earliest description of lead poisoning appeared in 2000BC. In fact, some have laid part of the blame for the fall of the Roman Empire squarely at lead’s door. It was used extensively in Roman aqueducts, eating and drinking vessels, “sugar of lead” was used to sweeten wine and most common Roman condiments were made by boiling fruit in lead cookware. This theory has been hotly disputed but analysis of sediment from the Tiber river showed Roman “tap water” had 100 times more lead than local spring waters. There’s also a theory that lead poisoning might have done for my favourite Baroque painter (yes, really) Caravaggio. An absolute bampot, he often exhibited tell-tale violent behaviour – like stabbing someone to death over a tennis match – and bones with high levels of lead were recently found in what’s thought to be his grave. Paints used in the late 16th Century contained high levels of lead salts, and painters often licked their brushes to get a good point. Lead poisoning can result in coma and death.